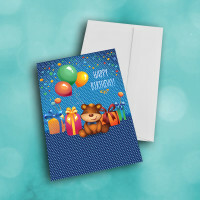 Send a sweet and cuddly birthday card to someone special in your life. 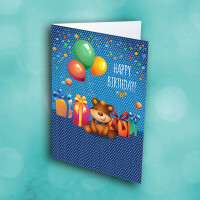 The cute little bear on the front of this birthday card waits to wish you a happy birthday. 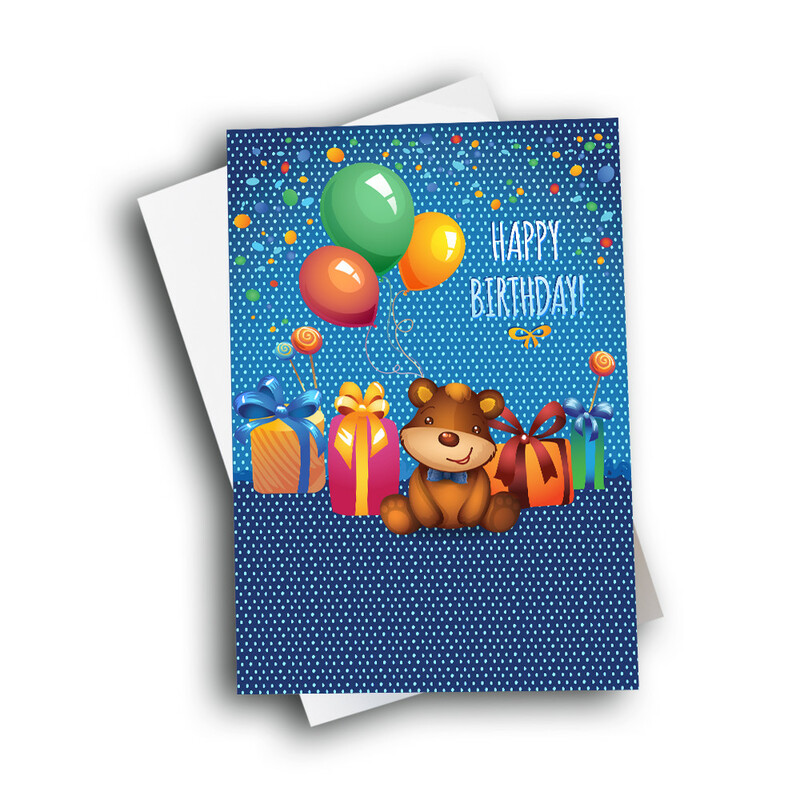 He's surrounded by beautiful presents, balloons, candy, and confetti. 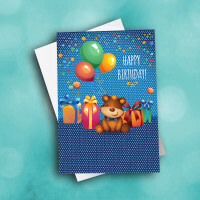 The deep-blue background is dotted with white, and the entire card is alive with cheer. 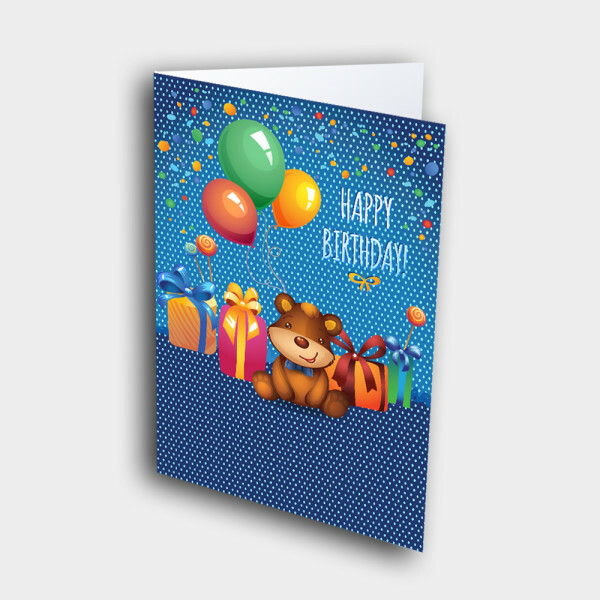 It's the perfect card for the young ones in your life. 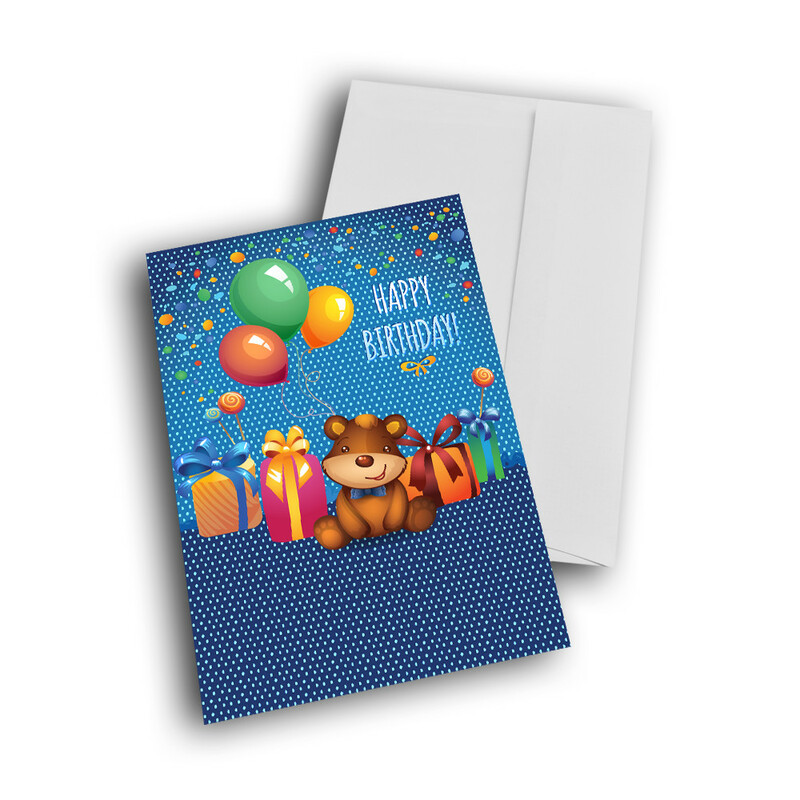 Add a customized message inside to give the card your personal touch.